Are you searching for the perfect new or used Chevy Tahoe Full size SUV in the Enid, Stillwater or Guthrie area? Come visit us at Vance Chevy Buick GMC in Perry, OK where we treat you like our neighbors. We are just a quick 30 minute drive from Stillwater, Enid and Guthrie. 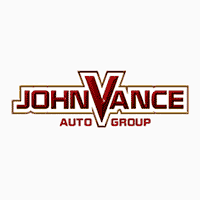 Did you realize Vance Auto Group has been serving Oklahomans for over thirty years now? In fact, we now have nine full service dealerships which means a huge inventory of preowned Tahoes and other vehicles. If it is a brand new Tahoe you’re looking for, come visit our Chevy dealership in Perry, OK. The Chevy Tahoe has been America’s number one selling SUV year after year. That’s because it delivers all the comfort, performance and versatility you are looking for. The Tahoe offers bold styling, responsive performance, and comfort that makes driving a pleasure whether it’s on city streets, the highway or on country roads. Tahoe features a 5.3L V8 engine that offers impressive power along with a best-in-class V8 fuel economy of 22 MPG highway. Combined with the available Max Trailering Package, Tahoe offers a maximum towing capability of up to 8,600 lbs. That means plenty of power to tow boats, ATVs and whatever else you want to bring along on your next trip. Be ready for carrying passengers in comfort or taking equipment, groceries or whatever you need with available power-release second-row and power-fold-flat third-row seats, and up to 94.7 cu. ft. of cargo space. It is easy to switch from passengers to cargo. Shut out the noise of the world with acoustic-laminated windshield and inlaid doors with triple seals to give a quiet peaceful ride. Everyone will love the tech-savvy features of the Tahoe which offers up to seven USB ports, a 110-volt three-prong outlet, an available 4G LTE Wi-Fi® connection and an available wireless charging station. It’s everything you need to keep devices charged and connected on the go. Check out the innovative Tahoe offers available 8-inch diagonal reconfigurable cluster with Driver Information Center and available Head-Up Display that puts the information you need right where you want it. The available Rear-Seat Entertainment System with Blu-ray® playback keeps backseat passengers engaged for even the longest rides. Safety is a major quality to keep your family safe. Come see all the Driver assistive alerts and packages. We want you to enjoy selecting your new or preowned vehicle from Vance Chevy Buick GMC in Perry, Oklahoma. Come test drive a Chevy Tahoe!